An experienced federal appellate lawyer in DC from The Federal Practice Group offers the possibility of overturning a previous decision. When a small business or a larger contractor does not win a federal bid despite their qualifications, they may mistakenly believe they have no chance to fight that outcome after their case loses in court. In fact, though the ruling may be expressed as final, it is not necessarily so as plaintiffs can respond with an appeal. Each DC federal appellate lawyer at our firm is experienced with the federal bidding process. They are also skilled in discovering how a decision may have been unlawful to the detriment of our clients. To learn whether or not your case is eligible for the federal appeals process, contact our office in DC and request a free consultation with our federal appellate lawyer. The federal appellate process does not involve a new trial or hearing. Rather, the appeals court considers the information that was already provided to the lower court that originally heard your case and ruled on it. Basically, the federal appeals court will take a fresh look at the evidence your original attorneys provided, as well as information provided by the defendant. Before the federal appeals court will review the original hearing or trial, your federal appellate lawyer in DC must identify a clear factual and/or legal error. That error must have occurred in the original trial or hearing and it must be so significant as to warrant the possible overturning of the original decision. In other words, the federal appeals court does not care if there were errors in the original proceeding: there must have been an error that had it not occurred, the original ruling would likely have been different. 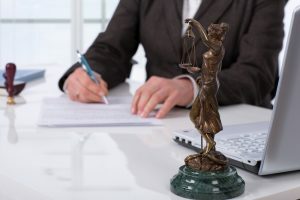 The burden of proof that an injustice occurred in the original trial rests on the shoulders of the DC federal appellate lawyer who you hire to present your case. The Federal Practice Group has the necessary resources and experience with procurement law to meet the Court’s expectations. There is also a time-sensitive aspect to the appeals process, one which we understand and will act upon accordingly. An appeals court will not hear a case beyond a certain period of time after the lower court’s ruling. In addition, the preparation of a strong case takes time. We encourage you to contact us at The Federal Practice Group if you are considering an appeal. A federal appellate lawyer that DC clients recommend from our firm may be able to provide you with some perspective in advance of your company spending a significant amount of time preparing to contact a lawyer or collecting documentation. After a free consultation with our federal appellate lawyer, you may have the information you need to help you decide whether or not you wish to move forward with an appeal with a DC court.